ifaith 1.5.6 download you can experience an upgraded your ios device. ifaith supporting ios 6.1.3 and you can upgrade your iphone, ipod, iphone 3gs ipod touch 4g, iphone etc. ifaith developed by ih8sn0w and ifaith download only available for windows. 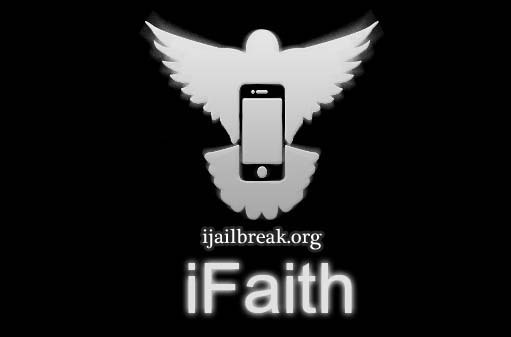 ifaith original version release June 2nd, 2011 ifaith work currently only iphone 4 ios 7 is not possible downgrade. Download latest version ifaith and extract to ifaith run windows. Connect your device to computer click download choose the correct blob your device. Click on Build ,Sigend, IPSW W/Blobs. Wait few second build your coustom IPSW. After complete IPSW you will need to place your device into DFU mode. When it has been Successfully. hold the shift key and click restore in itunes. itunes will now restore. your IOS 6.1.2 device jailbreak using evasi0n again.